A photographers dream, Curacao offers old world Dutch Caribbean architecture, wonderful island culture, wildlife and varied underwater dive sites all in one package. Curacao is perhaps getting a little more dive press in the past few years and it is certainly a dive destination you might want to consider. Flanked by Aruba and Bonaire, Curacao is the least recognized of the ABC islands in the Dutch Antilles. In fact when I retired here three years ago; friends in the States questioned why I was moving to South America or Eastern Europe. Building a home and retiring to an island would require another lengthy article but diving and photography played a role in the decision process. Curacao is the largest and most populated (~140,000 pop.) of the ABC islands. It lies about 12 degrees above the Equator and about 30 miles off the coast of Venezuela. 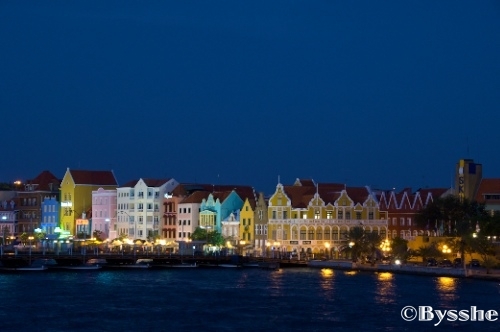 The capital city, Willemstad, is a UNESCO World Heritage site and has all the shopping and restaurants you could possibly need for a vacation. The city is split by a waterway into two sections, Punda and Otrabanda and by itself is a several day photo op. Most of the standard chain Hotels are with in a 10-minute drive of Willemstad and on the Caribbean Sea. Topside there is a lot to discover and I think this is what sets Curacao apart from its sister islands. 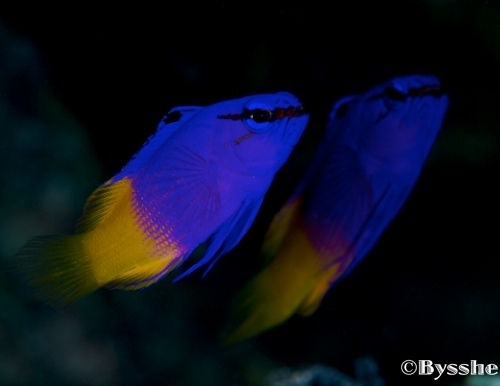 If you like land photography (and need a deco day) or have a non-diver in your group then Curacao will entertain you. 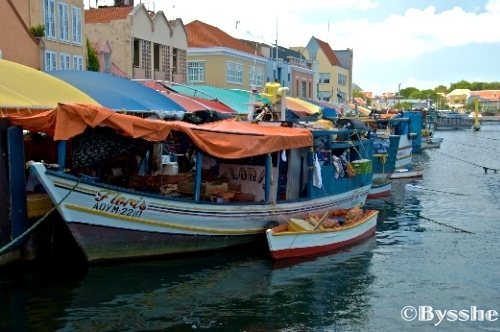 Aside from Willemstad, there are colorful open-air markets and Land houses to explore. A nature photographer will also find plenty of subjects at the various parks. As for the après dive scene, this article is being written by a 60 something retiree so it should not be considered a definitive source for where to party. Besides you should be taking so many pictures that your nights will be spent with a cold beer and your lap top (or diving). Carnival is held every year before Easter, check on line for the exact dates; it is an amazing photo op. Regardless of where you choose to stay, the diving will not disappoint you. Like Bonaire this is a “macro” island. Shark and Manta sightings are rare. But all the photogenic small stuff is here. 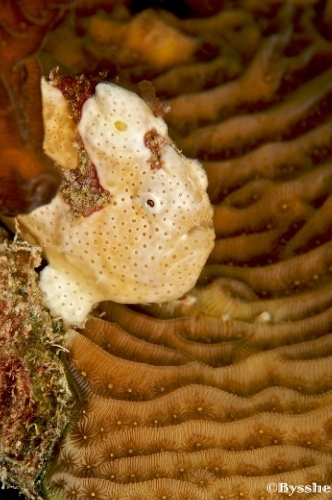 My favorite are the Frogfish, Longlured and occasionally Occelated (I think they are easier to find in the winter months). These can be great subjects for wide-angle close ups. Seahorses are for the sharp eyed, but I have yet to photograph a Pipefish. If you do a lot of diving, I think it is likely you will find a Seahorse and/or Frogfish. Also if you are good with your camera and buoyancy, the dive masters are more likely to share their little secrets. See if you can get a nice close up of a Pigmy Angelfish (Centropyge argi) or if you are lucky a Flameback Angel. Queen, French as well as Rock Beauties are on most dives but Grays are rare. Some sites seem loaded with juvenile Angels and Butterflies. 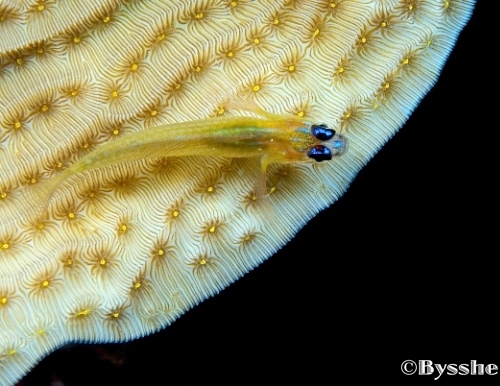 Gobies and Blennies will test your macro and super macro skills. Green, Spotted, Chain, Chestnut and Golden tail Morays are easy to find along with an occasional Spotted Snake Eel. Night dives will yield Clinging, Cryptic, Neck and Speck Clawed crabs along with Banded Coral, Scarlet, and Red Night shrimps. The prize would be a Red Banded Lobster. 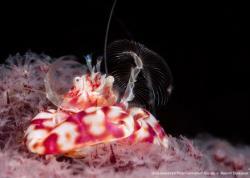 Pederson and Spotted Cleaner Shrimps can be found on every dive. The Lettuce Sea Slug is the easiest Nudibranch to spot and comes in three-color phases. Of course the list could go on. Check the Internet for the dates of Coral Spawning in the fall. It takes persistence and a bit of luck to see the coral “go off” but the whole reef is charged up on those nights. This year at one in the morning, on my third dive of the night I was rewarded and even remembered to take some pictures. 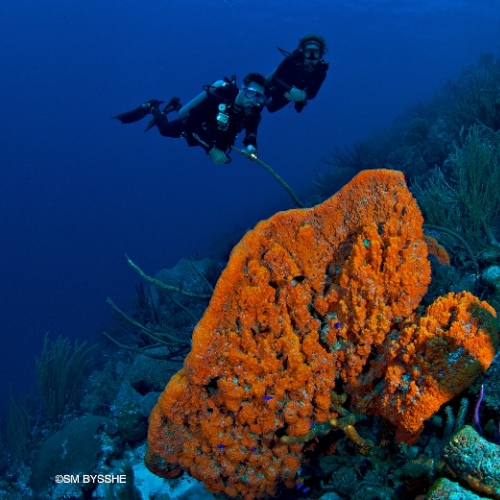 While there are not the dramatic drop offs (for instance like the Caymans) Curacao is blessed with some large healthy coral formations. Scenic wide-angle shots and the Tokina 10-17mm fisheye can be put to good use. Don’t pack just the macro stuff. Most dives are in the 50-70 foot range, especially with the dive shops. 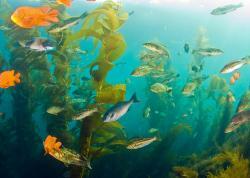 The reefs generally slope off into sand at 100 feet. The one frequented wreck is the Superior Producer lying in 80 to 120 feet of water. This is best planned with a guide. Shore dives for the most part have easy access beaches. Some are small coves and need a little navigation to get back to your starting point. The hotel dive shops generally have a two-tank boat dive in the morning and at least a one-tank dive in the afternoon. Guided night dives can be arranged at the shops from shore or by boat. You also can arrange a guided shore night dive at Porto Marie and Oceans Encounter West. At Habitat in addition to the boat dives, the “pool” is always open from the dock. All of the shore dives can be done by car, but the more isolated spots are better traveled by truck. You can check the web sites below for ideas about what is available. To name a few of the west locations, Boca Sami, St. Marie (Habitat), Porto Marie, Cas Abou, Lagun and Kalki (Oceans Encounter West) all have dive shops and parking. You can bring your own tanks, if you have a dive package or rent locally. Many beaches and shops charge a minimal entry fee plus fees for air. Having a shop also covers you if you forgot your weight belt etc at the hotel. 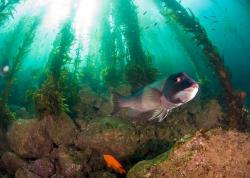 Read about shore diving with a large underwater camera here. Most dive magazines say you have to see Mushroom Forest. 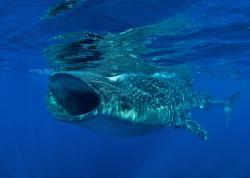 It is a great boat dive especially from Ocean Encounters West or Habitat and certainly is a nice wide-angle site. But Watamula (mostly by boat) the furthest west site should not be missed. 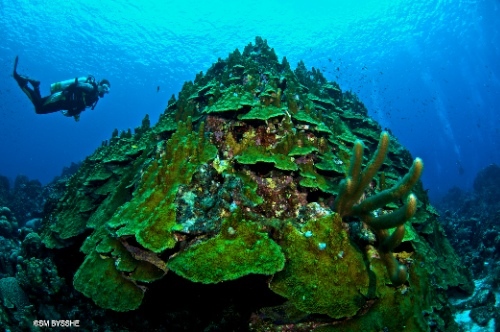 Often a drift dive it has the most diverse corals on the Caribbean side of the island. Shore dives at Alice in Wonderland on Playa Kalki can keep you busy for a day and you can then check out the boat dives there. Porto Marie should have its own day as well. Go in the morning during the week (less crowded) and your day should go like this: dive, nap, dive, lunch at the beach, nap, dive, then home to the hotel to order room service so you can spend the night downloading your images. Repeat as needed! I am an old, lazy, warm water diver, and I like to hang out on a reef to see what is happening. I might spend an hour, photographing in one place if there is something that catches my eye. So, my favorite sites are biased by what I like to do. An easy shore dive that never disappoints, day or night. Great dive shop and place to eat so you can spend the day and multiple tanks there. Ocean Encounters West is the dive shop and has boat dives to all the west end sites. My rig on the boats is generally wide angle because I tend to take fewer shots per subject as to not loose the group! Usually a boat dive, ten minutes away with OEW. Often (if you’re lucky) a drift dive, and with a strong current this dive is like an IMAX movie. Large, diverse healthy corals, this is a dive I could do without a camera, but there always seems to be a turtle in the sandy area at the end of the dive. Lovely beach with a small friendly dive shop and nice seaside restaurant. Start with a deep dive (+/-80 ft.) to the “second reef” followed by a dive to the right side (60-30 ft.) and then a dive to the left side (50-10 ft.). Lots of macro here, and I have been known to spend 2+ hours at 15 feet hunting the small stuff. Appropriately named, this site is visited by boat almost exclusively by the Habitat dive shop. It is a drift dive and offered only on calm days, which are rare at this point of land. The dive masters may choose just at the last minute in the morning to head there (15-20 minutes) so you almost have to be staying at Habitat and get lucky with the weather. A series of “walls” and valleys the site is loaded with large Elephant Ear sponges, fans and often turtles. Substitute this dive with Mushroom Forest. The weather is warm and dry. This is a desert island with its own tropical beauty but has little of the lush vegetation of the Caribbean islands that get constant rainfall. Nighttime temperatures are usually above 75 degrees and most days push 90. July, August and September are just hot. The rainy season when there is one, is usually between Sept. and Dec. Tropical storms, like Omar last year, do occur but Hurricanes are rare. To some degree the island relies on the storm season for rain, as it will get some spin off weather as the storms invariably turn north. For me December through May are perfect months with lots of sunshine and cool night breezes (some would say windy). Curacao however is a pretty reliable vacation destination all year round from a weather standpoint. Water temperatures are not much of an issue. In the summer 82-86 degrees allow for multiple dives with just a shorty. Winter temperatures may get as low as 76 and a full 3 mil with vest or 5 mil might keep you more comfortable on multiple dives. Visibility is generally good to excellent but there can be stretches of poor vis. days. This should not interfere with your Macro shooting, though. Travel to Curacao is pretty straightforward with multiple direct flights a day from Miami, Holland and several weekly charters from Toronto. Recommending a place to stay, however, is a bit more difficult. The problem lies in how you want to organize your stay on the island and how avid an underwater photographer you are. The vast majority of “upscale” hotels and lodgings are near Willemstad and the east end of the island. Diving is primarily by boat through several dive shops associated with the hotels. All have excellent dive masters but the dives are structured and will be with 10-20 of your nearest and dearest friends. If you are traveling with a large group, most shops will customize their boat dives for you. There are many lovely sites on this end of the island and the day long trip, two tank dive at the Oostpunt wall and Klein Curacao (a small off shore island) is certainly worth it, but the seas can be rough. These shops will also go to the west end but primarily to Mushroom Forest. There are also several shore sites off the east end hotels. “In my humble opinion” standard boat dives generally do not allow you to hone your photography skills. Even with a slow paced dive master, you have to keep up with the group. You just can’t settle in and spend 20 to 30 minutes with one subject. Nor can you easily practice some of the new tricks that you just learned here on the Underwater Photography Guide. If you want to take better pictures in nature, you have to be willing to spend time with your subject. For my money, in Curacao, the best sites for underwater photography are shore dives to the west end of the island, especially if you are with other photographers. These sites allow for relaxed diving at your own pace, and a chance to easily change out gear to experiment with your equipment. I like to dive the same reef time and time again because you get to know the neighborhood and its players. Further I think you are more likely to see animal behaviors. 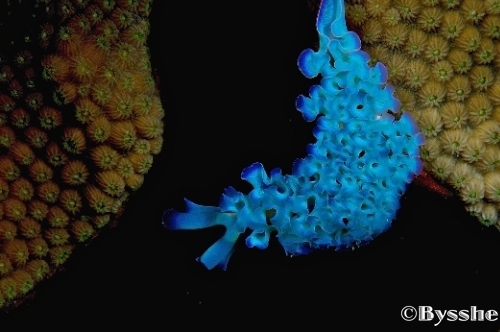 Lets face it, most healthy reefs have all the same critters; you just have to find them. Lodge Kura Hulanda and a few apartment complexes. There are several dive shops; Ocean Encounters West is the furthest out and offers shore diving (Alice in Wonderland) and boat diving to all the west end sites. Again if you stay out west you will need a car, but you will do less driving and you will be close to the natural attractions like Christoffel Park. The trade off is it’s a long drive to the party scene. Looking to try something different in the Caribbean? 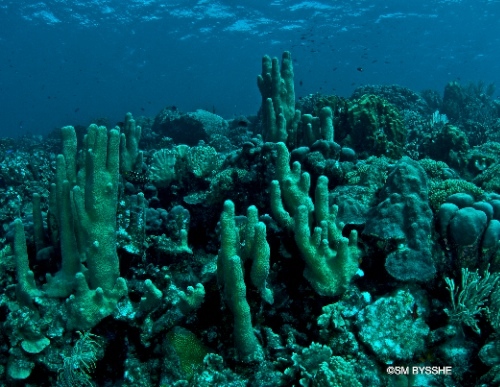 Consider Curacao, you should go home a better underwater photographer. Below are some web sites to get you started. Now retired, I have tried to dedicate more time to becoming a better photographer. Certified more than 30 years ago, I have always been fascinated by coral reef ecology and creating underwater images. My wife and I moved to Curacao N.A. to start our retirement so working underwater has become almost a daily exercise. My first underwater camera was a Nikonos I, but the digital age certainly allows for a faster learning curve. My land photography also gravitates to the natural world and I hope to add some shots from our travels as well. To date I have not been very happy with scanned 35mm images so the folders of slides continue to gather dust! Submitted by Terry D. (not verified) on Sun, 2012-04-01 17:25.
having never been, I thank you for the wealth of information. 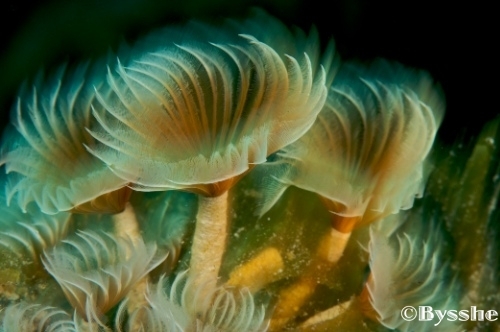 I will meet some dive friends there in June, and am looking forward to trying out my new strobe ! Submitted by Len (not verified) on Mon, 2010-04-12 10:53.